On Saturday evening, April 9, the Youngstown Symphony presented Hebraic Rhapsody, the last of its three Powers Auditorium classical concerts of the season, conducted by music director Randall Craig Fleischer. 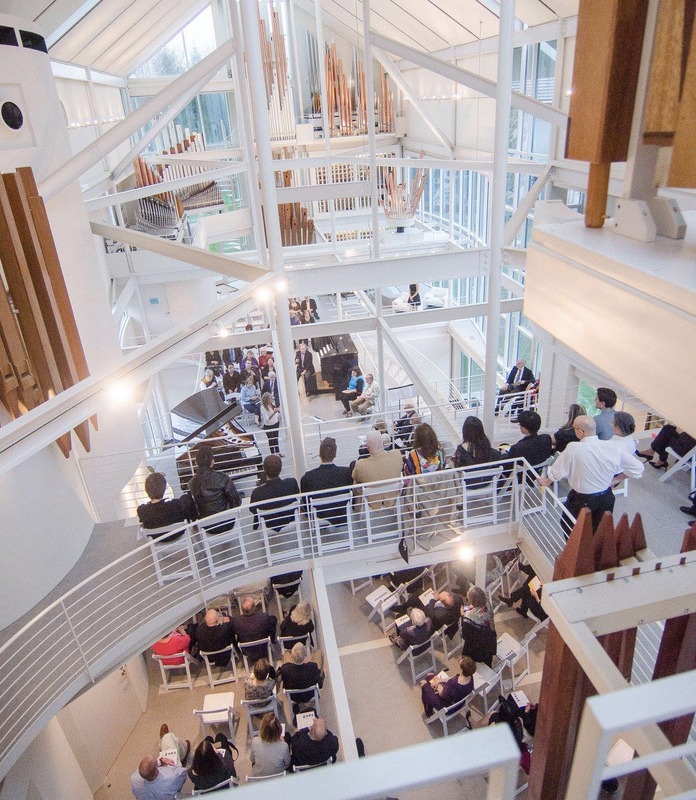 The highlights were two works the Orchestra performed with Israeli cellist Inbal Segev: Ernest Bloch’s Schelomo and Leonard Bernstein’s “Three Meditations” from Mass. Segev was first heard with the Youngstown Symphony in 2013 in the premiere of Israeli composer Avner Dorman’s Cello Concerto, with Fleischer conducting. Schelomo: Rhapsodie Hébraïque is the sixth and final work of Bloch’s Jewish Cycle, composed between 1913 and 1916 just before the composer moved to America. These large-scale works include orchestral tone poems and pieces for voices, chorus, and orchestra. Although Bloch’s initial plan was to write a vocal work setting texts from Ecclesiastes, a chance meeting with the talented cellist Alexandre Barjansky inspired Bloch to use a solo cello to portray the brooding King Solomon. The performance was stunningly effective. Inbal Segev, playing from memory, has obviously absorbed the music into her psyche and performed with remarkable energy and expression. The piece begins with solo cello, featuring the augmented second and other dissonances frequently found in Eastern music. Segev’s cello, a 1673 instrument made by Francesco Ruggieri, has the appropriate dark, rich color needed to negotiate the extremely intricate, wide-ranging part. Though some instruments may be louder, in Segev’s hands, the Ruggieri, while never blatant, consistently cut through the skillful orchestration. Bloch is an amazing orchestrator. His early use of multiple trumpets and other brass create great timbral interest, and his use of the Hebraic version of Phrygian mode in the solo cello (called “Ahava Raba” in Hebrew) allows for powerful music, and his coloristic palette also includes terrific use of celesta, timpani and other percussion. Attractive solos by clarinet, bassoon, and oboe led to a new repeated note, dance-like theme that grew to huge proportions in an enormous climactic crescendo. In the final section, the cello solo part seems unaffected by the orchestral influences and replaces some of its earlier chromaticism with whole steps. It returns to the low register of the beginning in another cadenza — a discouraged epilogue that disintegrates into silence. Segev, Fleischer, and the Orchestra gave Schelomo a magnificent and inspired performance. Leonard Bernstein’s Mass: A Theater Piece for Singers, Players, and Dancers (1971) was commissioned by Jacqueline Kennedy. The text was by Bernstein with additions by Stephen Schwartz (author of Godspell) and Paul Simon. Premiered in Washington as part of the opening of the Kennedy Center for the Performing Arts, the staging included a “celebrant” and a 200-member cast. Drawing on all his eclectic influences, both Christian and Jewish, Bernstein uses jazz, rock, gospel, and musical theater references to create a controversial production with the Mai Lai Massacre and opposition to the Vietnam as a backdrop. Reviews of the premiere were largely negative. Bernstein later created the Three Meditations from Mass for Mstislav Rostropovich’s inaugural concert as conductor of the National Symphony. Made up from the dance music of the larger piece, the Meditations form an engagingly light work for cello and orchestra. Recent performances by cellist Yo Yo Ma have received excellent critical notices. More than sixty years separate Schelomo from the Three Meditation. This can be clearly heard in the opening of Meditation 1, where Bernstein uses marimba, glockenspiel, and tam tam struck by a metal triangle beater to generate unusually brittle, angular colors. 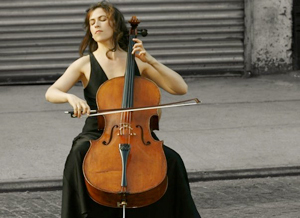 The solo cello mixes soulfully lyrical passages with others that are fast moving and powerful. Segev’s playing balanced beautifully with the complex textures. Meditation 2 begins with an expressive solo passage soon accompanied by pizzicato strings and suspended cymbal. One of the variations features rapidly-moving sixteenth notes, then the piano enters for a sustained solo. Segev had her own gorgeous solo before the movement concluded with a sudden fast passage. Meditation 3 opens with tam tam followed by high register cello solos. This is the most energetic movement, and employs the most percussion, including tenor drum, snare drum, tambourine, bass drum, timpani, and xylophone. Its mixed meter combines groupings of twos and threes to create an exciting sense of relentless syncopation. A sudden turn to a darker mood and slower tempo soon melt back to a rapid, mixed meter passage involving the percussion and chimes. The concert opened with a noble performance of Gustav Mahler’s Adagietto from Symphony No. 5. While the symphony uses enormous forces and complex orchestration techniques, the Adagietto movement, composed as a kind of love song to the composer’s wife Alma, is scored only for strings, and often performed separately. The piece is stylistically close to Wagner, even quoting “The Glance” leitmotif from Wagner’s Tristan and Isolde in its middle section. Like the Mahler, Copland’s Suite from the Tender Land seemed a bit incongruous on this program, since it is composed in Copland’s Americana style and had nothing to do with his Jewish origins. But the piece is masterfully orchestrated, and Fleischer and the Youngstown Symphony did a fine job with it, rounding out a fascinating, varied, and intricate program. Published on ClevelandClassical.com April 15, 2016.